To mark International Women’s Day Bohunt Worthing students attended the Worthing Mayor’s Youth Debate on Friday 8th March. 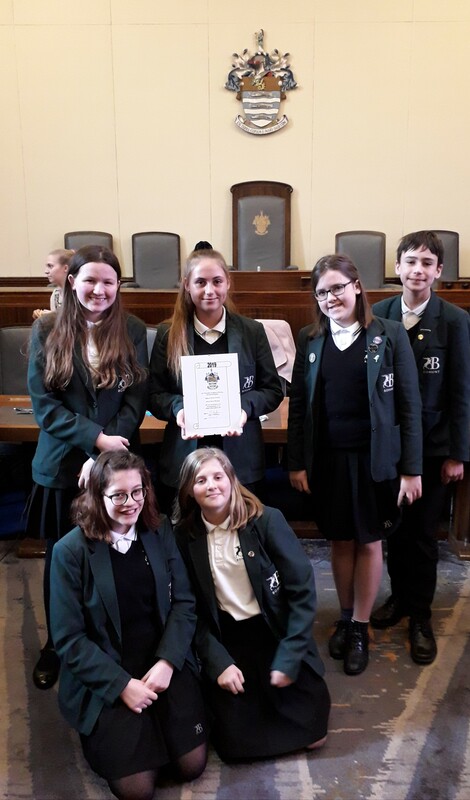 Talia Karchewski, Nikola Osinska, Ruby Robinson-Wright, Emily Rusbridge, Benjamin Waterer (all Year 8) and Emma Hill (Year 9) attended the debate, with Mr White. 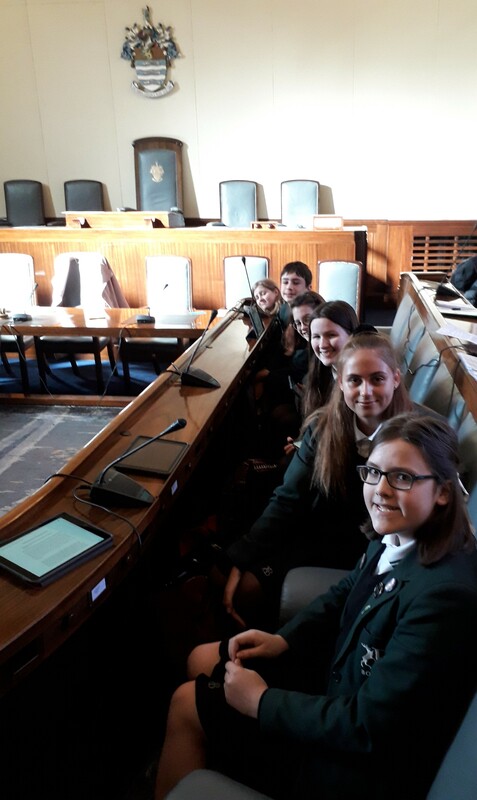 They had the privilege of debating current issues against three other local schools in the Council Chambers, just like our local Councillors. The students competed superbly and put forward thoughtful contributions on an array of debate topics ranging from ethical issues surrounding AI, the gender pay gap, diversity and the extent to which the media is to blame for the rise of body dysmorphia amongst young people. Bohunt School Worthing was the overall team winner of the Worthing Mayor’s Youth Debate. This is particularly impressive considering they were the youngest team! In attendance at the event were: the Mayor of Worthing, Paul Baker; the Deputy Mayor, Hazel Thorpe and the Lady Mayor, Sandra Baker. The Judges were: Mrs Caroline Nicholls, The High Sheriff of West Sussex; Martin Randal, Director for Economy, Adur Councils; Katie Waters, Youth Mayor and three representatives from Worthing College.